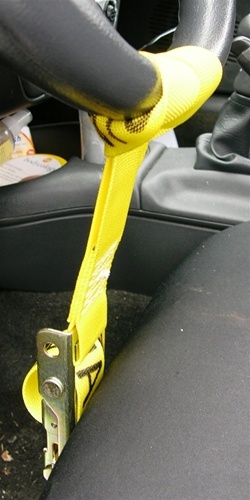 Steering wheel lock strap. Nylon strap with easy tensioning mechanism and flat hook. 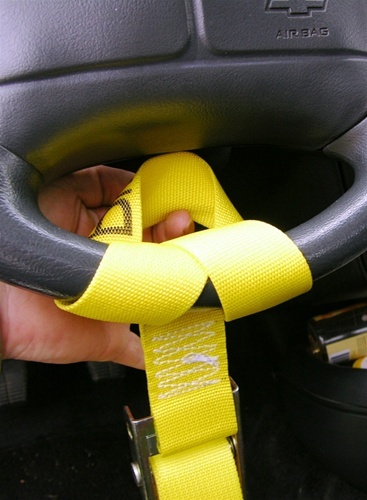 Great tool for holding the steering wheel straight while towing a vehicle by wheel lift.